How on Earth does having a beer party help Friends of the Fox River clean up the river?!? Friends of the Fox River President Gary Swick explains: “Our annual fundraiser is a reminder that without protecting the Fox River we’d lose many of the things we enjoy and take for granted, including recreation on the river, natural habitats, local species and…good beer!” But if you’re not into drinking beer, that’s OK, this party is really about clean water. 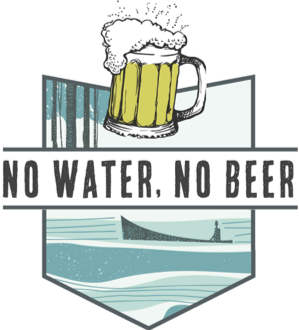 There are many reasons to support the work that Friends of the Fox River does by joining us at our “No Clean Water, No Good Beer” fundraiser here are a few. 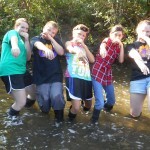 Help Kids Get Their Feet Wet! 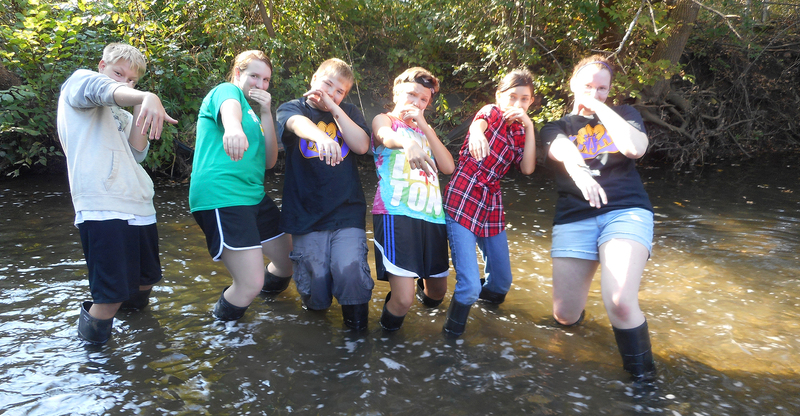 Did you know that Friends of the Fox River is a world-class leader in educating school children about the life of their local streams? Since 2009, Friends of the Fox educators have taught our River Curricula to more than 30,000 kids in the Fox River Valley! 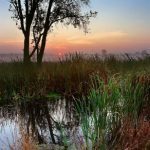 Help us grow a generation of people, property owners, taxpayers, and voters who understand what a watershed is, how many species depend on the Fox River and why clean water and a healthy river matters. REGISTER NOW to attend our annual FUNdraiser and support our work to get kids wet. Know “The Fox”… Be The Fox…Stop Pollution! James F. Phillips was a teacher and an environmental activist who was active in the Fox Valley during the 1970’s and became known around the world for his activities to stop polluters under the pseudonym “The Fox”. During the early 70s he created “Friends of the Fox”, a loose network of high school students at Aurora West, Proviso West, and Naperville Central. 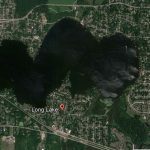 Now that loose network has grown into “Friends of the Fox River” and Jim Phillips efforts to stop pollution have evolved into the Fox River Monitoring Network. 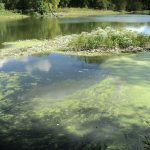 The Network trains citizens, teachers, and youth group leaders to monitor the health of the Fox River and its tributaries. 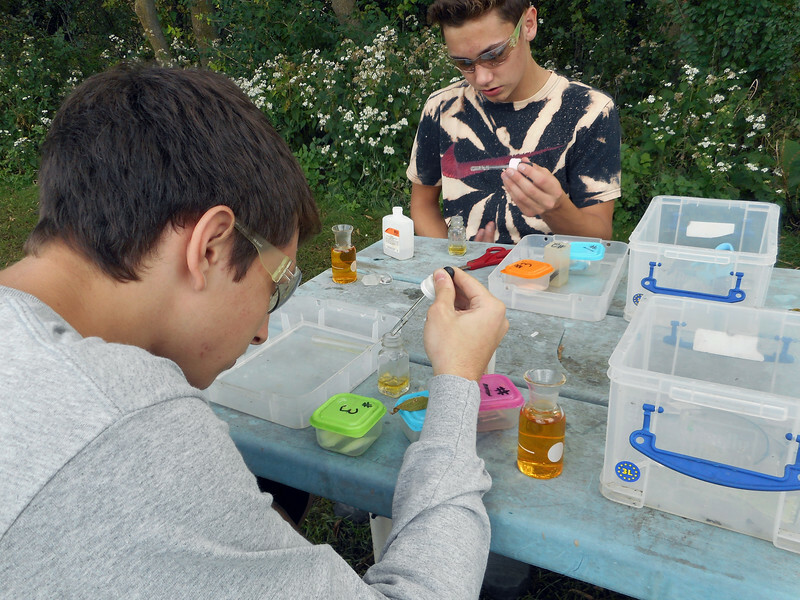 Friends of the Fox River uses the stream data collected by our Monitoring Network volunteers to keep an eye on water quality trends and take action when needed. You don’t have to drink a beer to support our work to monitor water quality and protect the Fox River like the legendary “Fox”. You can just REGISTER NOW to attend the party and enjoy a clear, tall, frosty drink of clean water from the Fox River instead! 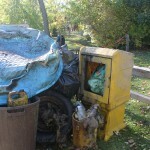 Does your town clean up litter from its streets? Do you sweep your sidewalk or porch? We don’t like to see litter and garbage on our streets and property but who “sweeps” up litter and refuse from the river? Friends of the Fox River does! 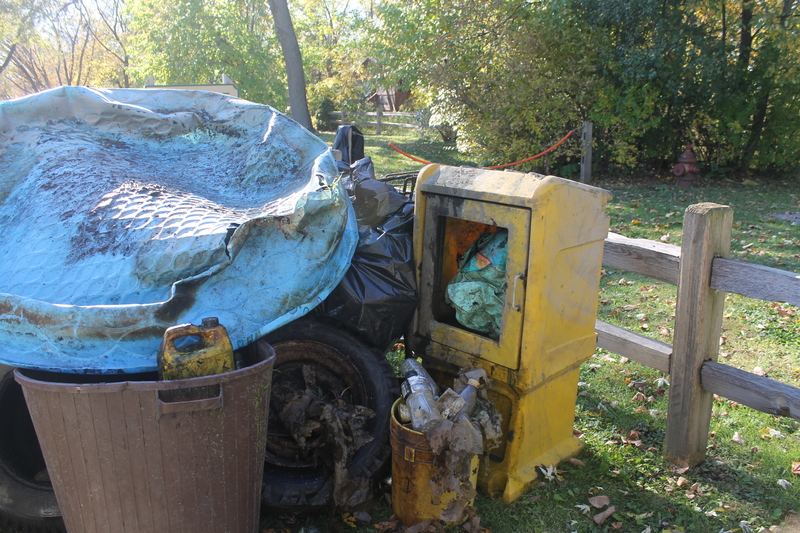 This year we will conduct clean-ups on and along the river from Algonquin to Batavia. We’d just love it if you’d volunteer to help us clean up the river. But if you can’t, REGISTER NOW for No Clean Water, No Good Beer and we’ll clean up the river for you! Get Connected, Find The Fox! To know the Fox River is to love the Fox River. 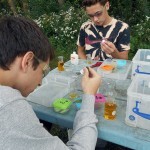 Friends of the Fox River has been a long time environmental education leader by teaching thousands of Fox Valley students about the river as they stand in their local streams. Now, our new Executive Director, Gary Mechanic has developed the “Find The Fox” series of canoe and kayak trips to connect adults and families with kids with the Fox River. Support Friends of the Fox River’s efforts to help people get to know and care for the Fox River by buying a ticket to “No Clean Water, No Good Beer”. Get connected with Friends of the Fox River, get connected to new friends, get connected with some local craft beers and make the connection between what Friends of the Fox River does and what you can do to help us “Keep on Fixin’ the Fox”! REGISTER NOW and save $10 off the door admission fee.